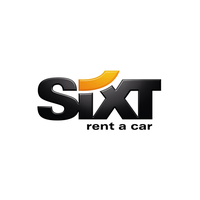 ● Eligible customers such as teachers, students, police, military and government personnel can save 5% on car rentals using coupon codes available from the Sixt Coupons page. ● Enjoy special pricing and even a 5% discount with coupon offers by signing up for the Express Sixt Card. You also get to earn miles from affiliated airline partners and reward points from hotel partners every time you hire a car using your membership card. Sixt Gold Card members enjoy even more bonuses. See the Sixt Cards page for more details and information on how to apply. ● Save as much as 30% on rental fees when you book at least seven days in advance. More details about discounts and conditions can be found on the Pre Pay and Save page. Whether you're car is in the shop and you need a way around town or if you're going on a trip, you'll need to consider a way for you to rent a vehicle. Sixt is a rental car company that gives you the ability to choose from various cars in their fleet for as long as you need. Customers can rent a car or they can also rent a moving truck in the event that they're relocating personal belongings. On the front page of their website you'll be able to enter the pickup location, the drop off location, and the days that you need the rental. The site will then give you a list of vehicles that are available. For most up to date offers check out Sixt.com on Facebook and Twitter or contact Sixt.com Support for any questions.